The Indian digital Paytm company Paytm is going to challenge the WhatsApp in the country by introducing its messaging feature. Paytm is planning to expand its services by adding the user-to-user chat option and games.The payment service company is playing a major role in order to maintain the digital payment transaction in the country. 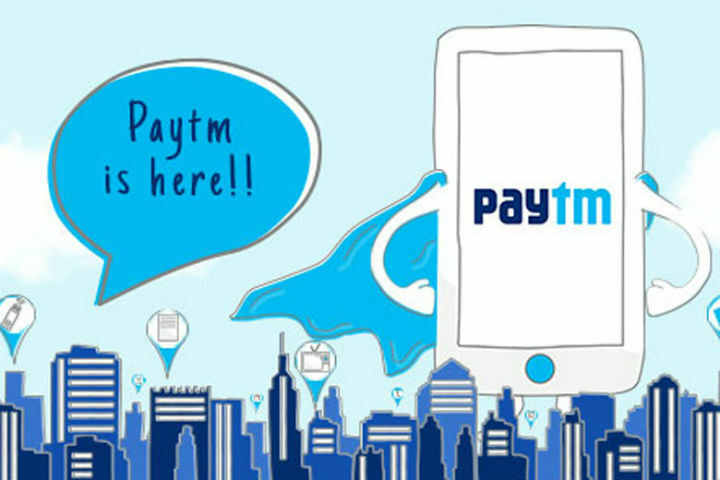 Paytm currently values $8 billion and planning to add new features and services to make space in the messaging app market.The company will first enrolls the chat option along with the games and mobile content in beta version till end of the August. The digital wallet firm in order to challenge the biggest messaging app in the country, WhatsApp ,will provide the features like text, video and audio sharing options. It's not the only thing the Paytm is relying on to give the WhatsApp a tough competition. Along with the messaging feature the company will also going to integrate some urbane features which it clones from the WeChat in China. The dominating messaging app in China, Wechat serves, the services like ride-hailing, media, payments, e-commerce and much more. So, basically, you can expect the new Paytm app that contains the key attributes of WhatsApp and WeChat for India. After the beta version passed successfully the company will go for the channels like media, mobile games, and other mobile content. Actually, one97 communication which is the parent company of the Paytm long before entering into the payment service has a history in mobile content in its beginning state.. There is also another part of the story, one97 communication mobile content history is not the only reason that influenced the Paytm for this step. Alibaba which holds the maximum share in the Paytm was interested in offering these services since it tried the strategy in China against the WeChat. Alibaba offered the social features in its popular digital payment product Alipay in China, but it lost the battle against the WeChat of Tencent. So, it's quite possible Alibaba have a major role in the enhancement of the Paytm services. According to the company currently, it provides the services to the 230 million users across the nation and if compare the numbers, it is more than WhatsApp’s 200 million Indian users. The business of the Paytm got an exponential jump when the Indian government pull over the demonetization policy. The ban on the currency of Rs.500 and Rs.1000 lead the users to the Paytm door as digital transaction was only choice. The number of the user's increases from 135 million in August to 177 million users in December. The sudden jam in the offline transaction raised the Paytm transaction from 15% to 65% during the demonetization. The Paytm transform itself from a digital payment mode only to the platform that also offers e-commerce and now expanding itself by integrating messaging feature.